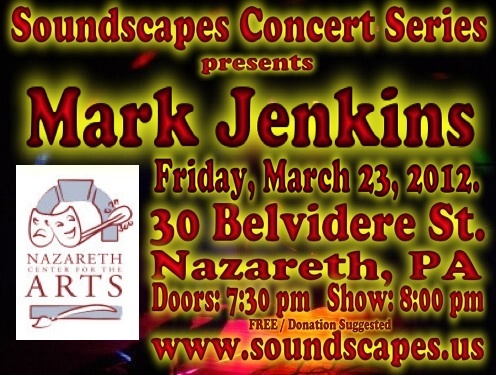 Here is the archive of Soundscapes Concert #15 featuring Mark Jenkins. It took place at the Nazareth Center for the Arts on Friday, March 23, 2012. Mark Jenkins returned with another great show utilizing two iPads and not much more. This page will be expanded when media is prepared.